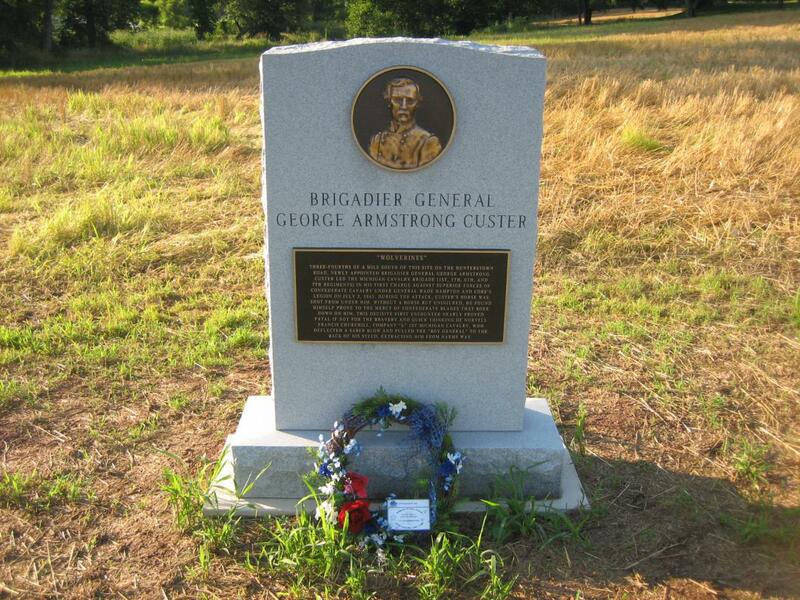 A new marker was dedicated in Hunterstown on July 2, 2008 to the memory of Brigadier-General George Armstrong Custer, and to Private Norvell Churchill who saved Custer’s life in this area on July 2, 1863. This view was taken from the northwest facing southeast at approximately 7:25 AM on Thursday, July 10, 2008. 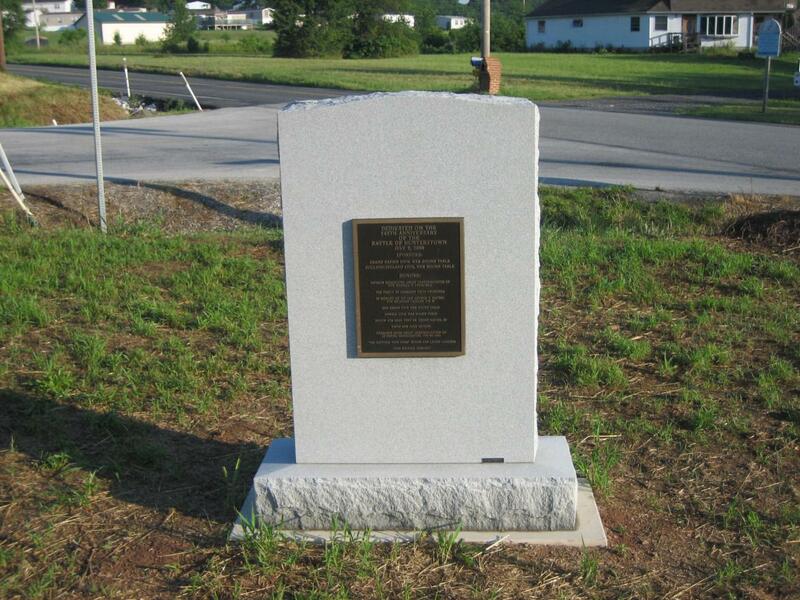 A new marker was dedicated in Hunterstown in memory of a cavalry action which occurred on July 2, 1863. Brigadier-General George Armstrong Custer had his horse shot from under him, and before the Confederates could capture, wound, or kill him, Private Norvell Churchill of the 1st Michigan Cavalry, deflected a Confederate sword, placed Custer on the back of Churchill’s horse. 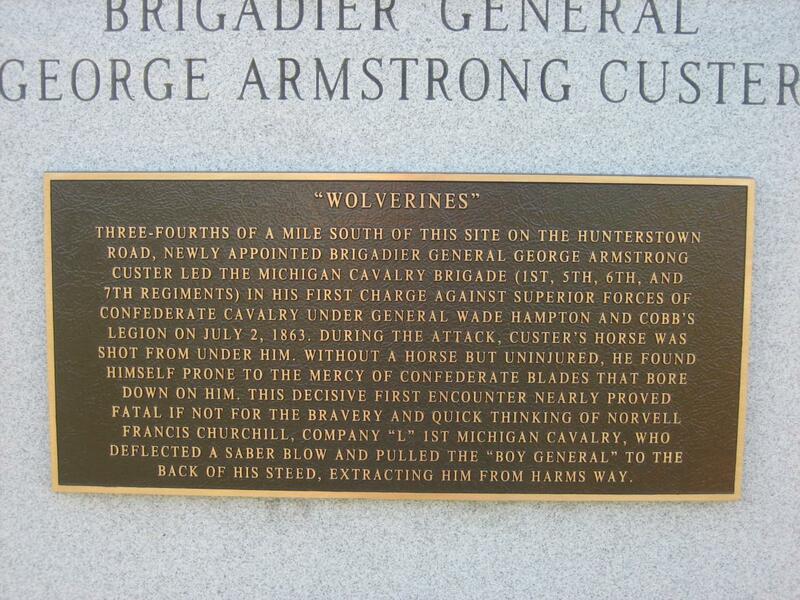 Custer would thus live to fight at East Cavalry Field on July 3, 1863, and the rest of the Civil War. Custer would die on June 25, 1876 at the Battle of the Little Big Horn in Montana. 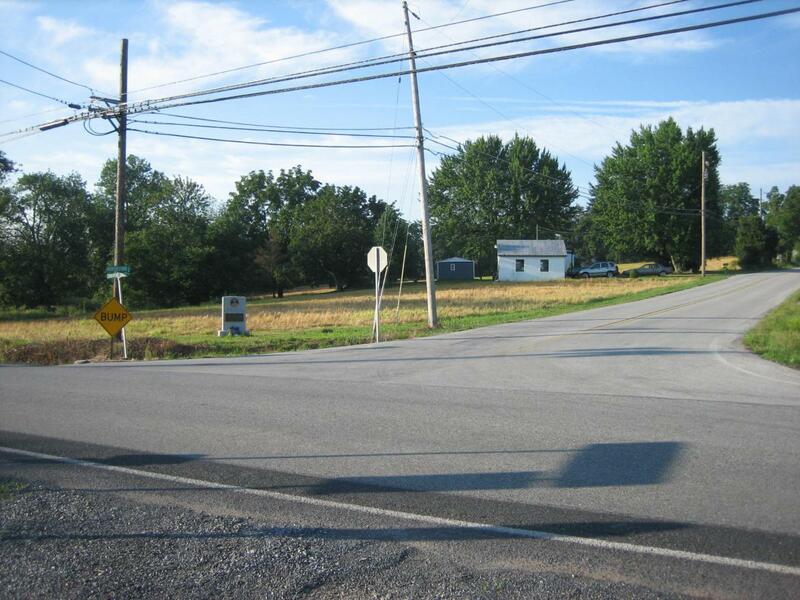 The marker is located on the southeast corner of the intersection of Shriver’s Corner Road (PA 394) shown running left to right in this view, and the Hunterstown Road, shown on the right side of this view, and disappearing in the right background. The event where Churchill saved Custer’s life occurred approximately 3/4 of a mile south from this location, on the Hunterstown Road. This view was taken from the northwest facing southeast at approximately 7:25 AM on Thursday, July 10, 2008. A closeup of the plaque on the front of the marker. This view was taken from the northwest facing southeast at approximately 7:25 AM on Thursday, July 10, 2008. The back of the marker shows who was responsible for the placement of the marker. This view was taken from the southeast facing northwest at approximately 7:25 AM on Thursday, July 10, 2008.